The Cannes (pronounced “kaan”) Film Festival, one of the world’s most famous and prestigious film festivals, was held from May 16 to 27. The festival is held every year in the town of Cannes, France. Film celebrities from all over the world were in attendance. The highest award is the Palme d’Or (French for “Golden Palm”) which was awarded to “Amour” (meaning ‘Love’ in French). Amour is a French, German, and Austrian movie about an elderly couple dealing with health problems. The movie is directed by Michael Haneke, an Austrian who also won the Palme d’Or in 2009. Both the lead actor and actress in Amour were octogenarians (people who are from 80 to 89 years old). An unofficial award is also given to the dog that has the best performance in a film. The award is called the Palm Dog and the winner this year was Smurf, the dog in the British film ‘Sightseers’. The Cannes film festival has been around for 65 years, but that’s only half as old as film-making itself. Photography, or the art of “still pictures” was invented in the 1820s. It was only in the 1890s that “moving pictures” were invented. The Lumiere brothers (Auguste and Louis) in France invented a device to record and show moving pictures. They called it the “cinematographe”, from which we get the word “cinema”. Their first film was La Sortie des usines Lumière, which was just 48 seconds long! They did the first paid public showing of their films in Paris, France on December 28, 1895. Many scholars view this event as the “birth of cinema”. Years later, Louis Lumiere was asked to become the first president of a film festival – the Cannes film festival! Europe celebrated another big event, the Eurovision Song Contest. Loreen, a Swedish signer, won the contest on May 26 for her song “Euphoria”. Eurovision is one of the world’s largest and oldest music competitions. It started in 1956, and has been broadcast on TV every year since, making it one of the longest running television shows in the world! The participants can sing in any language they wish. 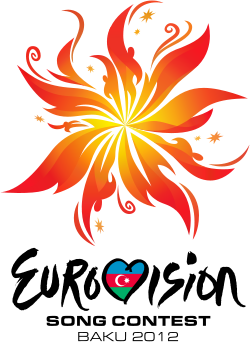 This year the contest was held in Baku, Azerbaijan and 42 countries participated. Russia’s song entry came in second place. The song was sung by 6 women aged 50 to 76 calling themselves the Buranovo Grannies. Some of Eurovision’s contestants have gone on to become quite famous. ABBA from Sweden (the 1974 winner), Celine Dion from Canada (the 1988 winner), and Julio Iglesias from Spain (a 1970 participant) are some examples. You can watch a video of “Euphoria” here. 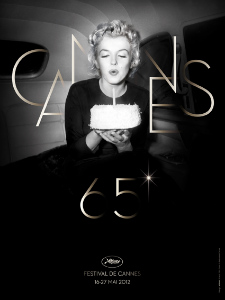 The Cannes film festival’s poster (image shown above) has the famous American actress Marilyn Monroe on it. This is because it has been 50 years since she passed away.